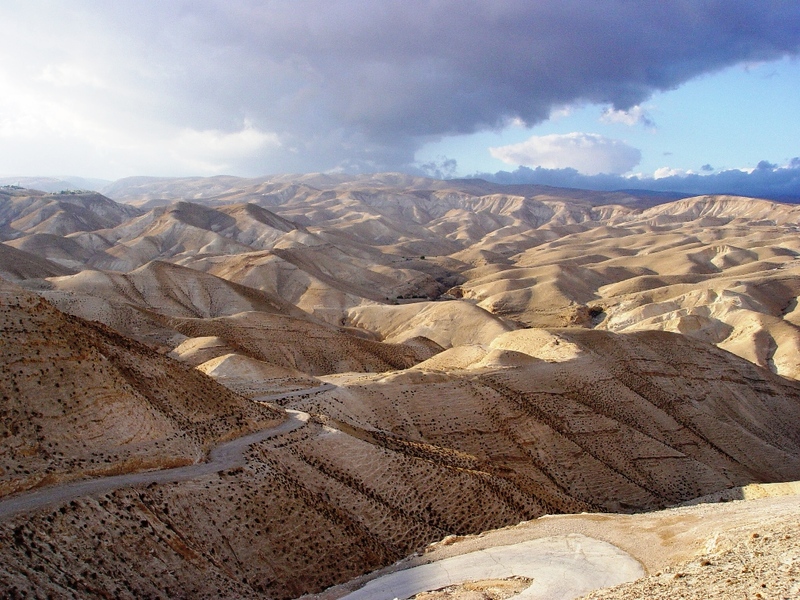 Yesterday we made our way from Jerusalem down to the Jordan Valley and on up to Galilee. Visibility was not the best due to winds from the east and south bringing dust and haze. We stopped a couple of times along the way to photograph shepherds with their sheep. That is a scene I never tire of. This location was just north of Jericho. We are looking west. 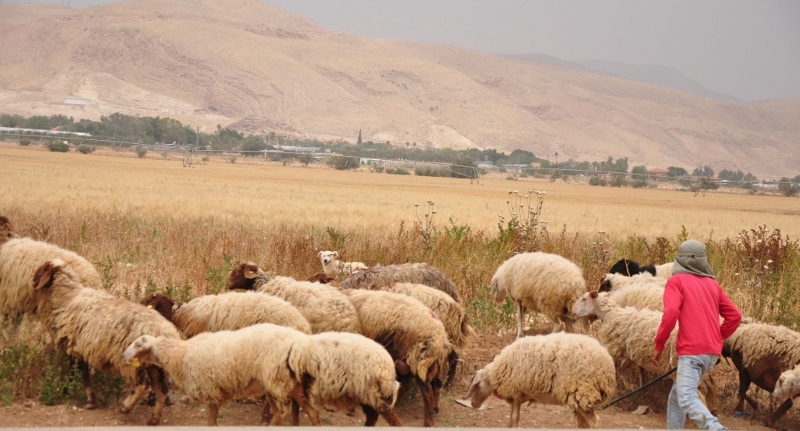 Sheep in Jordan Valley. Photo by Leon Mauldin. 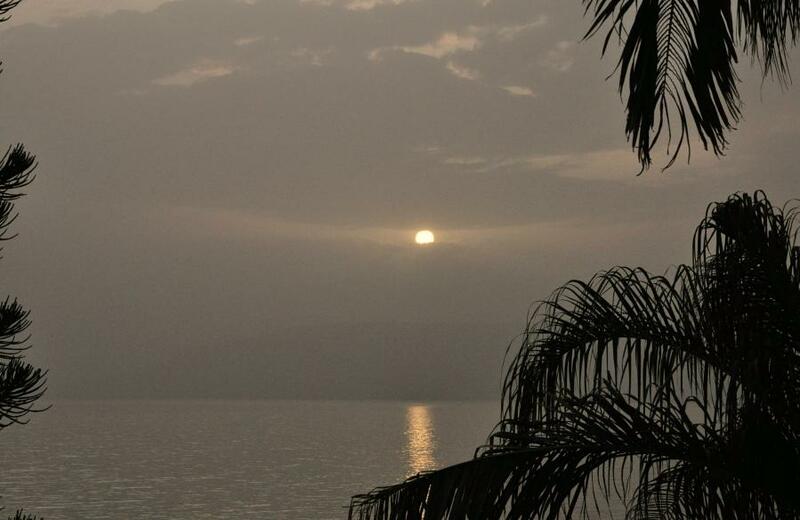 Sunrise at the Sea of Galilee this morning consisted of the sun barely peaking through some clouds and dust. Sunrise at Sea of Galilee April 10, 2016. Photo by Leon Mauldin. There is no doubt that during His ministry on earth Jesus and His disciples saw mornings like this on occasion also. 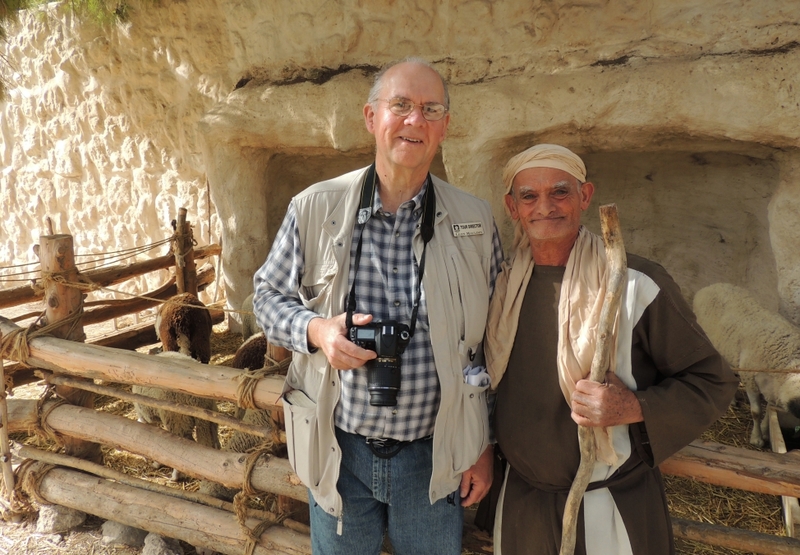 After worship this morning in Nazareth, Ferrell Jenkins and I went on to the Hecht Museum at Haifa University, where we both took several hundred photos. It is a very nice museum of artifacts that covered biblical/historical periods from Chalcolithic on down through Roman. Neither of us had been there before. So our travels today took us from Tiberias to Nazareth, up the Plain of Jezreel, to the Carmel range and on to Haifa (biblical Acco). We had a good view of the Plain of Acco down to the Mediterranean; then back to Tiberias. It’s been a good day. Our hotel is the Ron Beach Hotel, right on the Sea. My favorite place to stay in the Galilee. Just for good measure I wanted to share a sunrise photo from Sept, 2011. 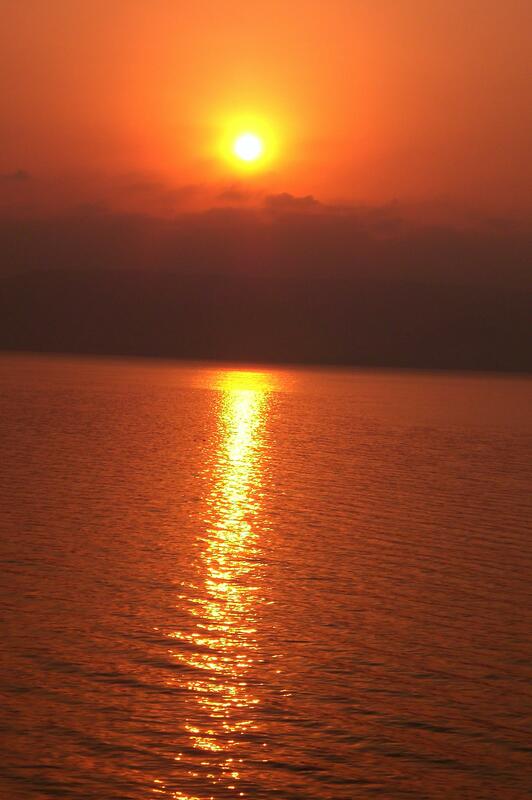 Sunrise at Sea of Galilee, Sept. 2011. Photo by Leon Mauldin. When traveling in the lands where biblical events occurred, I never tire of scenes of sheep with their shepherd. This is certainly true down from the slopes of Mt. 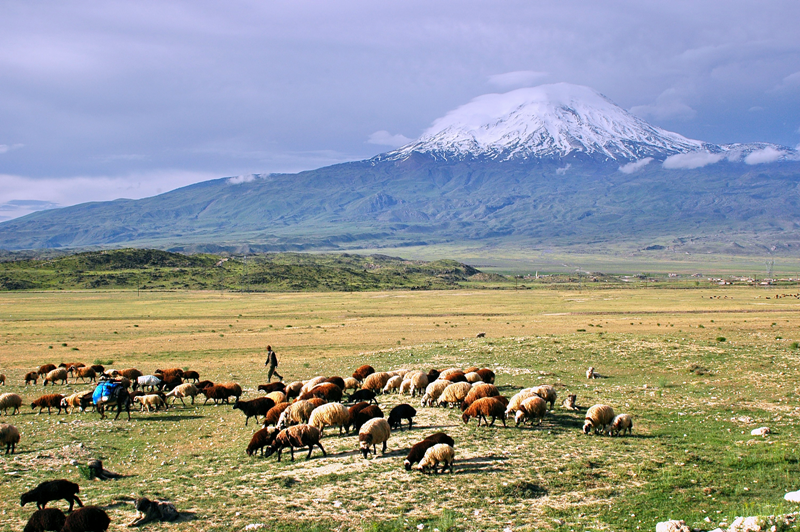 Ararat, known as Greater Ararat, located in the mountain range where the ark came to rest. Shepherds with sheep at Mt. Ararat. Photo by Leon Mauldin. Mt. Ararat reaches 16,945 feet in altitude, and is snow-capped year round. 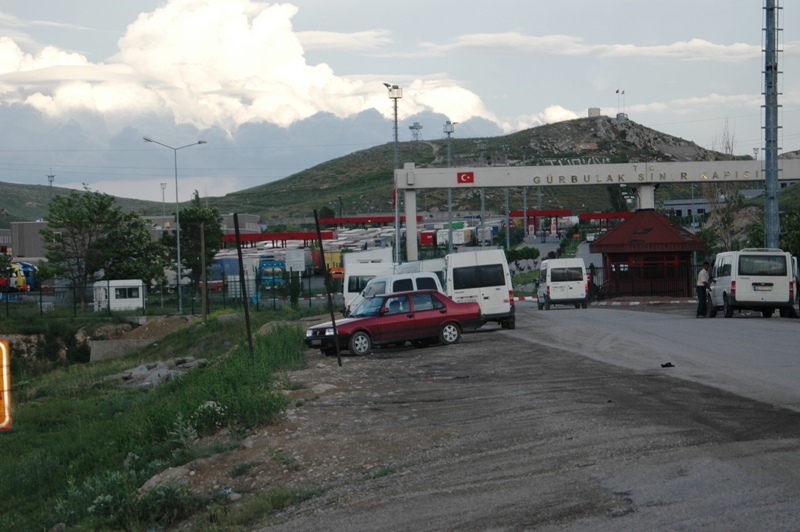 Turkey/Iran border. Mt. Ararat is 10 miles west (to our back) from this point. Photo by Leon Mauldin. This kind of trip makes for some wonderful memories. Four of us, Ferrell Jenkins, David Padfield, Gene Taylor and myself, made this trip to eastern Turkey in 2007. 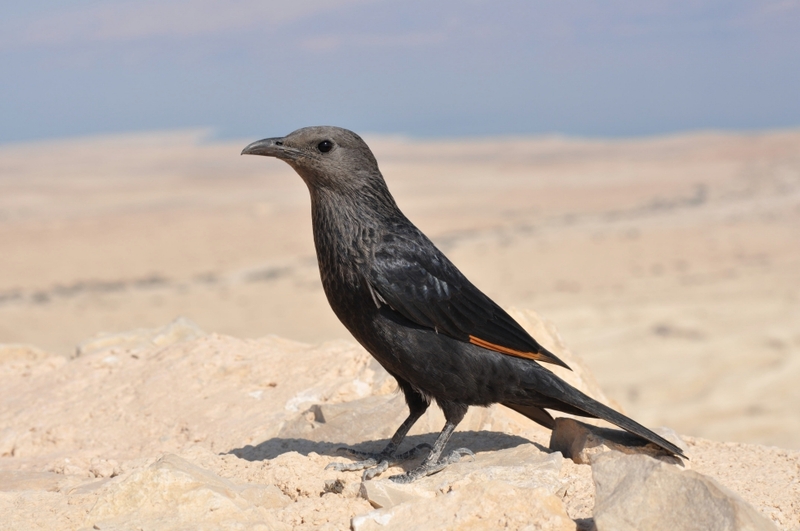 Check yesterday’s post for biblical references to the mountains (and kingdom) of Ararat. Ferrell Jenkin’s has made numerous posts on Ararat, including here. In our last post we mentioned the obvious fact that sheep need shepherds. 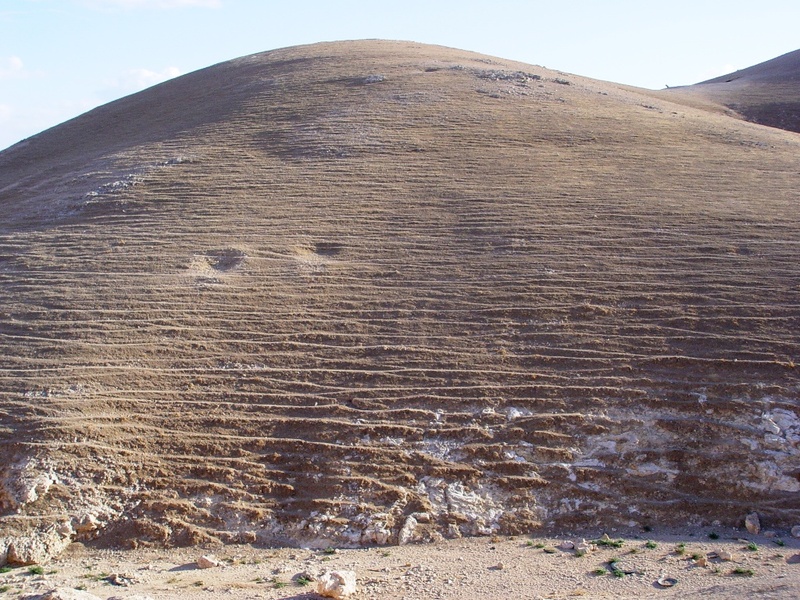 When you consider the terrain and climate of the wilderness of Judea, it becomes even more clear that shepherds were/are needed to lead sheep to pasturage and water. Judean Desert. 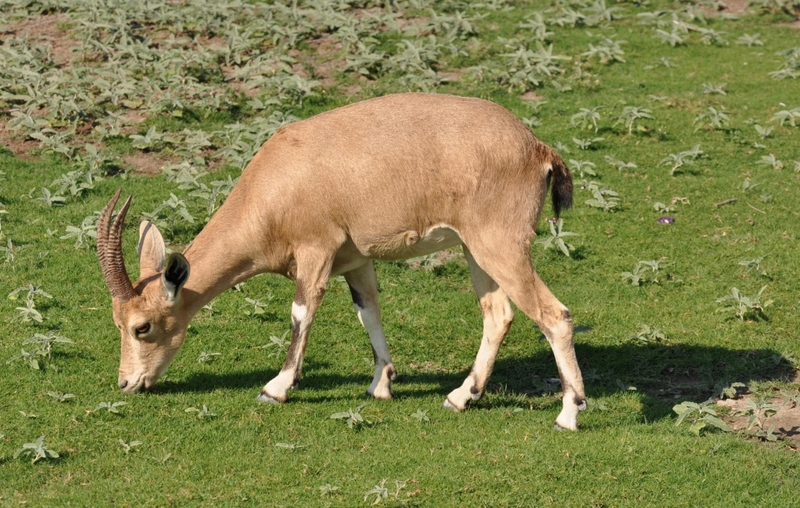 Shepherds are needed to lead sheep to grazing and water. Photo ©Leon Mauldin. 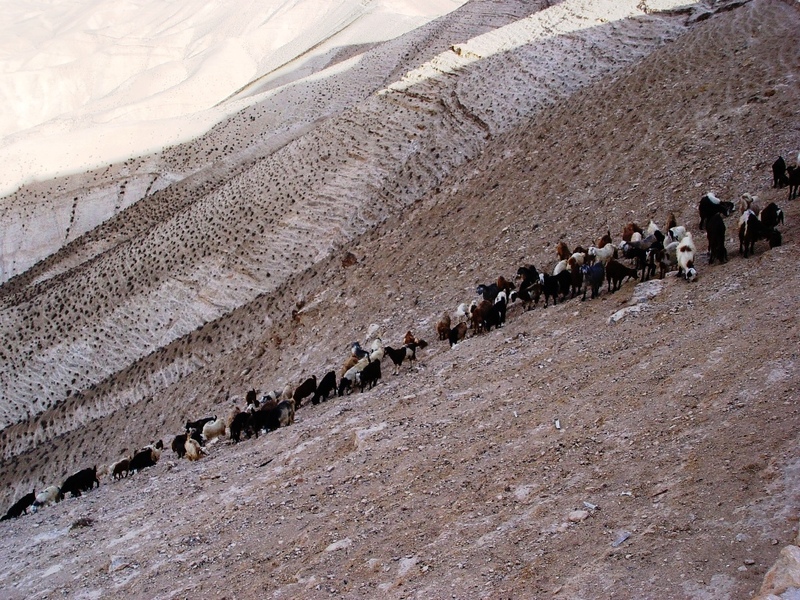 Over the years the sheep as well as goats carve out paths in the rugged terrain. Trails worn by sheep & goat in Judean Desert. Photo ©Leon Mauldin. Scenes such as this below are basically unchanged from the days of the patriarchs thousands of years ago. Such scenes illustrate life in biblical times. Photo ©Leon Mauldin. 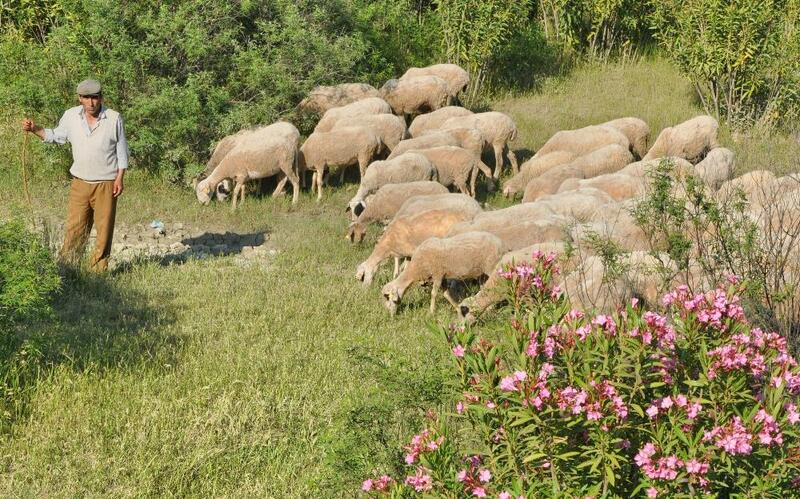 In Dr. Lynn Anderson’s book, They Smell Like Sheep, he tells of a church member who cornered him after a lesson in which he repeatedly referred to the elders as “shepherds.” His suggestion was basically this: since we sophisticated Americans don’t usually have sheep and don’t work as shepherds, no one connects with that idea. So find a better way to communicate the spiritual leadership idea. Admittedly, the shepherd metaphor does sound strange in the cyber-world of our daily experience. We don’t normally see these picturesque, rural characters rolling down the expressways or eating at our local McDonald’s. But, after carefully considering my friend’s suggestion and searching in vain for a contemporary metaphor that would better connect the biblical notion with our times, I finally had to explain, ‘I can’t find any figure equivalent to the shepherd idea in our modern, urban world. Besides, if I drop the shepherd and flock idea, I would have to tear about five hundred pages out of my Bible, plus leave the modern church with a distorted–if not neutered–view of spiritual leadership.’ God keeps pointing shepherds to the pasture to struggle with sheep (pp. 11-12). The ultimate example of a shepherd is God Himself; in the New Testament Jesus is identified as the Good Shepherd who cares for His sheep (John 10). Anderson is correct to use the biblical image of elders as shepherds (Acts 20:28; 1 Pet. 5:2,3). Without doubt one of the most well-known, if not THE most well-known scriptural texts using the shepherd metaphor is Psalm 23. The LORD is my shepherd; I shall not want. He maketh me to lie down in green pastures: he leadeth me beside the still waters. He restoreth my soul: he leadeth me in the paths of righteousness for his name’s sake. Yea, though I walk through the valley of the shadow of death, I will fear no evil: for thou art with me; thy rod and thy staff they comfort me (vv.1-4, KJV). For today’s post we share a photo of a sheep who has been led to the still waters (quiet waters, NASB; refreshing water, NET). 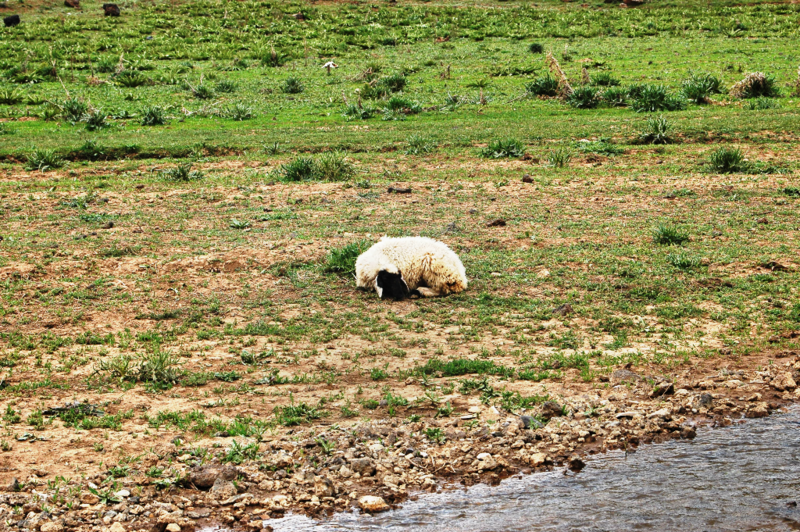 Sheep lying down near green pasture beside refreshing water. Eastern Turkey. Photo ©Leon Mauldin. What a beautiful metaphor of God’s care for His people! You are currently browsing the archives for the Shepherd category.